06/11/15 -- Soycomplex: Beans closed with small gains on the day, but lower for the week. Meal finished at the lowest on a front month in almost 4 years. There was maybe a bit of light pre-weekend short-covering and position-squaring today ahead of Tuesday's upcoming WASDE report from the USDA. The average trade estimate for US 2015 soybean production now seems to be around 3.914 billion bushels with yields at 47.5 bu/acre versus the USDA’s October numbers of 3.888 billion and 47.2 bu/acre, according to a Bloomberg survey. Not much change is expected in the level of US or world ending stocks. A survey by Reuters shows that the trade expects 2015/16 US ending stocks at 435 million bushels versus the USDA's October estimate of 425 million. The same survey shows world ending stocks at 85.32 MMT versus the USDA's October estimate of 85.14 MMT. FCStone were reported to have decreased their Brazilian soybean production estimate by 0.65 MMT to 100.45 MMT, although that's still slightly higher than the USDA's 100 MMT estimate. Plantings in Brazil are still a bit slow in northern and central areas. "AgRural reported that farmers in Mato Grosso had plated 38% of their anticipated soybeans as of late last week, which is approximately 20 percent behind the average planting pace," said Dr Cordonnier. Nov 15 Soybeans settled at $8.71 1/4, up 3 1/2 cents; Jan 16 Soybeans settled at $8.67 1/4, up 3 1/4 cents; Dec 15 Soybean Meal settled at $295.70, down $0.70; Dec 15 Soybean Oil settled at 28.04, up 21 points. For the week Nov 15 beans were 12 1/2 cents lower, Dec 15 meal fell $8.70 and Dec 15 oil was 16 points lower. Meal remains particularly weak, this was the lowest close on a front month since late 2011, although beans aren't too far above multi-year lows either. 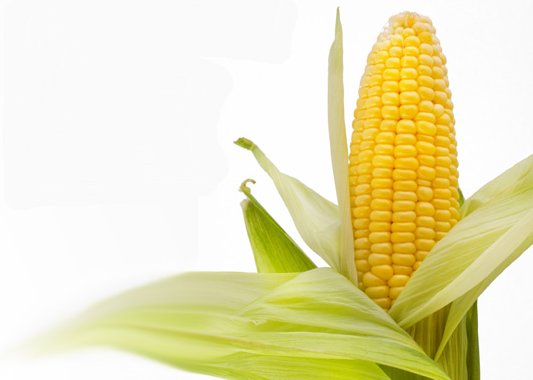 Corn: The corn market closed slightly lower on the day, and with losses of the best part of 10 cents for the week. For Tuesday's WASDE report the average trade guess is for production at 13.564 billion bu (the USDA were 13.555 billion last month) and a yield of 168.2 bu/acre (the USDA were 168.0 bu/acre in October). A Reuters survey shows that the average trade estimate for 2015/16 world ending stocks is 188.43 MMT versus the USDA's October figure of 187.83 MMT. US ending stocks are estimated at an average 1.597 billion bushels versus the USDA's October forecast of 1.561 billion. The Reuters survey also predicts higher US production (13.579 billion bushels) and yields (168.4 bu/acre) than the Bloomberg one. Ukraine's 2015 corn harvest meanwhile is now said to be 85% complete on 3.5 million ha for a crop of 18.8 MMT so far. That implies final production of around 22.1 MMT versus the current USDA estimate of 25 MMT. The Russian 2015 corn harvest was reported at 80.1% complete on 2.2 million ha for a crop of 11.2 MMT so far. Yields are said to be averaging 5.15 MT/ha versus 4.53 MT/ha a year ago and the current USDA prediction of 5.00 MT/ha. The 2015 French corn harvest was said to be 86% done as of Monday, up 11 points on the week and 12 points ahead of a year ago. The Ukraine Ag Ministry say that total corn exports so far this season total 3.0 MMT. The EU reported that they'd approved 442 TMT of corn import licences this week - more than the combined total for wheat and barley exports for the second week running. The US dollar did corn no favours today, rallying sharply following a strong US jobs report. US corn exports are already pretty sluggish. Dec 15 Corn settled at $3.73, down 1 1/2 cents; Mar 16 Corn settled at $3.81 3/4, down 1 cent. For the week that puts Dec 15 corn 9 1/4 cents lower, with Mar 16 down 9 3/4 cents. 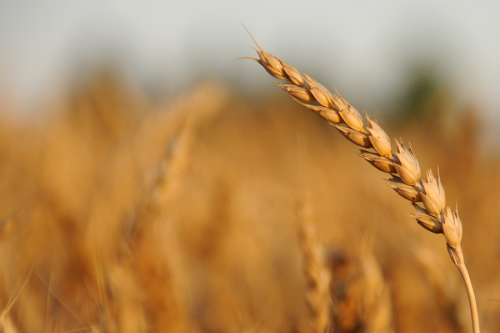 Wheat: The wheat market closed mixed on the day and for the week. Chicago wheat has been supported all week relative to the Kansas market, so today was perhaps a mini correction of that trend. Next week's WASDE report isn't expected to throw up any big surprises in wheat, essentially re-enforcing the record global supply and ending stocks situation. A Reuters survey of trade analysts shows 2015/16 world ending stocks estimated at 227.82 MMT, little changed from the USDA's October estimate of 228.49 MMT. The same survey predicts US ending stocks at 861 million bushels, completely unchanged from a month ago. The EU reports that soft wheat export licences there are now running 31% behind year ago levels, despite euro weakness. At the end of July cumulative soft wheat export licences were up 23% compared to 2014, by the end of August they were down 17%, at the end of September they were 23.5% lower and now things are 31% behind a year ago with a record crop to dispose of.Yet the USDA currently predicts EU wheat exports to only fall by less than 7% year-on-year this season. Concerns over winter wheat conditions in Ukraine and Russia seem to be enough to keep wheat shorts a bit nervous for now, which may be enough to underpin downside, even if US and EU exports are very sluggish. There were rumours circulating today that the Ukraine government might be about to introduce an "informal" cap on wheat exports, such is their concern over the state of the newly planted winter crop. APK Inform said that Ukraine growers might only sow only around 5.5 million ha of winter wheat this year, some 19% less than a year ago, and that production in 2016 could fall by a third to 16.7 MMT. Dec 15 CBOT Wheat settled at $5.23 1/4, down 3 cents; Dec 15 KCBT Wheat settled at $4.90 1/4, up 4 1/4 cents; Dec 15 MGEX Wheat settled at $5.18 3/4, up 2 1/2 cents. For the week that leaves Chicago wheat up 1 1/4 cents, with the Kansas market down 3 1/2 cents and Minneapolis down 1 3/4 cents. 06/11/15 -- EU grains closed mixed on the day but mostly higher for the week. At the finish, Nov 15 London wheat was up GBP0.20/tonne at GBP115.00/tonne. In Paris, Dec 15 wheat was EUR2.00/tonne higher at EUR185.75/tonne, Jan 16 corn was unchanged at EUR172.00/tonne and Feb 16 rapeseed was up EUR1.75/tonne to EUR381.75/tonne. On a front month basis, London wheat was 5 pence higher on the week, Paris wheat was up 5 euros, corn was up 7 euros and rapeseed advanced EUR3.25/tonne. Euro weakness has helped the French markets this week, with tonight's Paris wheat close being the highest since Jul 24. Rapeseed closed the week just below Wednesday's EUR382.50/tonne highest for a front month since Aug 11. London wheat however remains range-bound. This week's "wobble" by sterling following the news from the BoE's MPC meeting seemingly pushing an interest rate rise here further down the road, has essentially been matched by the euro. GBP/EUR ends the week where it began it at 1.40, having peaked close to 1.42 in early trade on Thursday before the BoE press releases. Against the US dollar meanwhile sterling has slumped from an early week high close to 1.55 to finish the week around 1.5050 - it's lowest close since April. The weakness of the euro, and the prospect of more to come, in theory augurs well for EU wheat exports - at least those priced in euros at any extent. This theory however hasn't yet been transformed in practice though. Brussels only released 293 TMT worth of soft wheat export licences this week, down from 371 TMT worth the previous week. Season to date licences are now 7.1 MMT, some 31% below where they were this time last year. The trend is worrying. At the end of July cumulative soft wheat export licences were up 23% compared to 2014, by the end of August they were down 17%, at the end of September they were 23.5% lower and now things are 31% behind a year ago. The USDA currently predicts EU wheat exports to fall by less than 7% year-on-year this season, so there needs to be a massive improvement in sales in the second half of the campaign. For sure, some improvement could be expected, as supplies from certain cheaper origins dry up, but to end the season only 6.8% lower on exports now looks like a very big ask. Another worrying trend is the fact that with EU barley export licences only totalling 100 TMT this week, after a stellar start to the season led by large sales to China, Brussels issued more EU corn import licences (442 TMT) this week than they did for wheat and barley exports combined. If Europe doesn't export or utilise more wheat domestically, which it won't do with feed demand so slack and all this corn coming in, then 2015/16 ending stocks can only rise. Progress with newly sown crops in Russia and Ukraine will be closely monitored and debated across the winter, and the condition of these still appears to offer the best chance of some upside in the market for the time being. There were rumours circulating today that Ukraine might be about to introduce another of their "informal" caps on wheat exports this season, with the Ag Ministry there presumably concerned enough about winter crops to consider such a move and preserve some carryover "insurance" into 2016/17. APK Inform said that Ukraine growers might only sow only around 5.5 million ha of winter wheat this year, some 19% less than a year ago, and that production in 2016 could fall by a third to 16.7 MMT, and that came with the caveat of "assuming normal over-wintering". Domestic wheat consumption this season is estimated at 12.7 MMT by the USDA, which if replicated next year, wouldn't leave a lot left over to export in 2016/17. For winter rapeseed APK Inform see a best case scenario of a crop of 1.1 MMT in 2016, down 35% on this year's 1.7 MMT and the lowest since 2007. Ukraine's 2015 corn harvest meanwhile is now said to be 85% complete on 3.5 million ha for a crop of 18.8 MMT so far. That implies final production of around 22.1 MMT versus the current USDA estimate of 25 MMT. The Ukraine Ag Ministry say that total grain exports so far this season total 14.4 MMT, including 7.9 MMT of wheat, 3.5 MMT of barley and 3.0 MMT of corn. In Russia meanwhile, winter grains are said to have been planted on 15.8 million ha, some 600,000 ha below this time a year ago. The Russian Ag Minister said earlier in the week that 25% of what had been sown was in poor condition. Back to the here and now, and Europe, though. The HGCA report that UK "millers, starch and ethanol producers consumed just over 1.6 MMT of wheat in the three months to September. This is 5% down on the same period last year, but the sharpest drop was seen in the September data, which was 8% lower year-on-year." So it looks like we're not really exporting it, or using it domestically either. Across the Channel, FranceAgriMer report that the French winter wheat crop was 90% sown as of Monday, up from 76% done a week ago and 4 points ahead of this time last year. 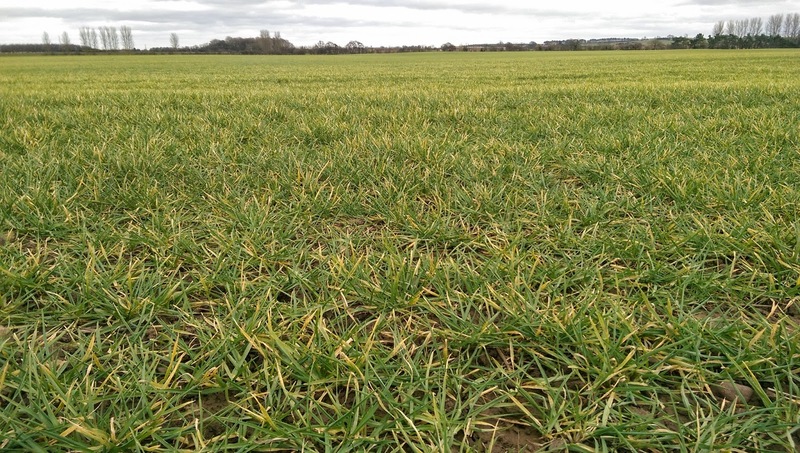 Winter barley at 97% sown was up 2 points versus 12 months previously. The 2015 French corn harvest was 86% done, up 11 points on the week and 12 points ahead of a year ago. 05/11/15 -- Soycomplex: Beans closed sharply lower, and within 5 cents of matching the recent multi-year low for a front month set on Sep 22. Weekly export sales shocked, coming in at only 655,600 MT for 2015/16 - a marketing-year low - being down 69 percent from the previous week and 61 percent below the prior 4-week average. Trade expectations were for sales of 1.4-1.8 MMT. Exports of nearly 2.2 MMT, with over 1.7 MMT of that going to China, were pretty good though, being up 17 percent from the prior 4-week average. There may have been a "risk off" element to today's trade ahead of next Tuesday's WASDE report from the USDA. Brazilian ports are said be be getting caught up in logistics due to heavy demand, and rain delays. Some ports are said to have loading delays of twice this time last year. Not a good time then for Brazilian truck workers to announce an indefinite strike starting Monday. MDA CropCast were unchanged on their forecast for the global (308.3 MMT) and US soybean crops (3.863 billion bu) from a week ago. The FAO raised their forecast for the world soybean crop by 1 MMT to 319 MMT, but lowered ending stocks by 1 MMT to 51 MMT. "In Brazil, conditions are generally favourable as planting progresses, though there is limited concern due to irregular rainfall, which is expected to increase in coming weeks and there is some concern in Rio Grande do Sul due to excess rainfall," they said. A Bloomberg survey into trader/analyst sentiment in beans returned - Bullish: 4; Bearish: 10; Neutral: 14. Nov 15 Soybeans settled at $8.67 3/4, down 14 1/4 cents; Jan 16 Soybeans settled at $8.64, down 20 cents; Dec 15 Soybean Meal settled at $296.40, down $5.40; Dec 15 Soybean Oil settled at 27.83, down 67 points. Corn: The corn market settled around 5-6 cents lower. Weekly export sales of 556,000 MT for 2015/16 were down 22 percent from the previous week, but up 7 percent from the prior 4-week average. Trade expectations were for sales of 450-650,000 MT. Celeres estimated the Brazilian 2015/16 corn crop at 86.41 MMT, down 1.49 MMT from their previous forecast. MDA CropCast increased their global corn production estimate by 1.21 MMT to 948.3 MMT, largely due to an extra 1.23 MMT for Ukraine where they now have production at 22.6 MMT (although the USDA are at 25 MMT until next week at least). MDA went unchanged on US production at 13.695 billion bushels. The FAO lowered world corn production in 2015/16 by 3 MMT from a month ago to 1004 MMT, and cut ending stocks by a similar amount to 220 MMT. Consider that the USDA are currently 31 MMT lower on the size of the global corn crop than that, and 32 MMT below them on 2015/16 carryout. "In the US, harvest is almost complete and yields are good. 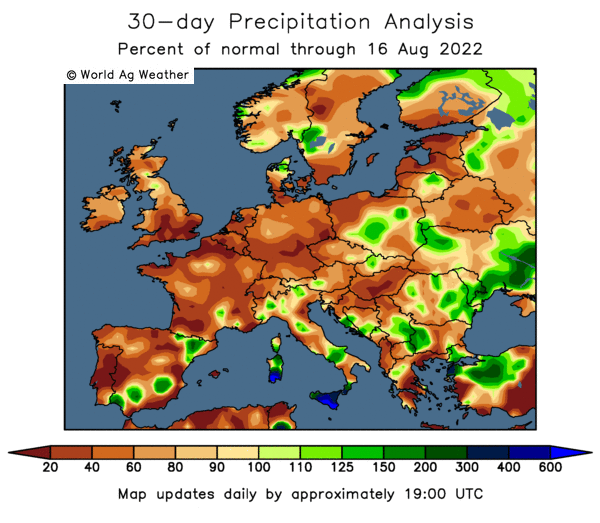 In the EU, conditions are largely unfavourable due to the earlier summer heatwave and lack of rain. In Ukraine, yields are expected to be down due to earlier dry and hot weather," they said. China's 2015/16 corn crop may be smaller than originally expected. 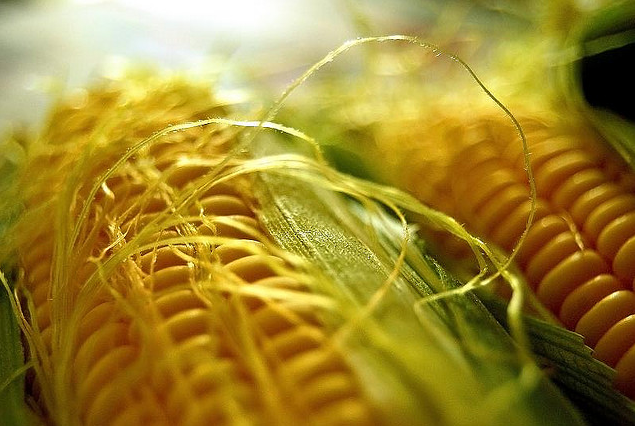 "Corn production in China, the world’s second largest corn producer, is expected to shrink by 5.8% this year due to drought and wind damage, Bloomberg News reported yesterday. New data on China corn potential comes from a SGS SA, a researcher hired by Bloomberg, who conducted an extensive survey among corn farmers. Heilongjiang, the leading corn province, would see a 12% reduction in corn output, based on survey results, due to drought and insect damage the report said. This is China’s leading corn province accounting for 15% of the harvest," said Martell Crop Projections. A Bloomberg survey into trader/analyst sentiment in corn returned - Bullish: 5; Bearish: 8; Neutral: 15. Dec 15 Corn settled at $3.74 1/2, down 6 cents; Mar 16 Corn settled at $3.82 3/4, down 5 1/2 cents. Wheat: The market closed flat to 8 cents lower. Weekly export sales of just 84,600 MT for delivery in marketing year 2015/16 were down 85 percent from the previous week and 80 percent from the prior 4-week average. That was frankly an atrotious weekly total that could easily have had the market posting double digit losses. Exports of only 176,900 MT weren't much help either, being down 45 percent from the previous week and 52 percent below the prior 4-week average. Kansas wheat lost again relative to the Chicago market on anticipation of rain relief for US winter wheat. Soft wheat mills continue to search for quality in the east, providing support to Chicago but adding more to the discrepancy with Kansas City, said Arlan Suderman of Water Street Solutions. MDA CropCast were unchanged on their global wheat production estimate at 723.4 MMT, as well as that for the US crop at 2.218 billion bushels. The FAO added 1 MMT to their global wheat production and ending stocks estimates, taking them up to 736 MMT and 207 MMT respectively. "In the northern hemisphere the spring wheat season is complete and planting of winter wheat is ongoing under mostly favourable conditions with the exception of the Russian Federation and Ukraine where there is concern over dry conditions. In the southern hemisphere, conditions remain mixed. In Australia, conditions deteriorated due to lack of rains. In Argentina, conditions are generally favourable and in Brazil, mixed weather during all the season is expected to negatively impact yields. In South Africa, conditions are poor," they said. The Buenos Aires Grain Exchange said that Argentine wheat harvest progress is being delayed due to rains. Concerns remain over dryness in Russian and Ukraine winter wheat areas where planting is delayed, emergence is also retarded and "poor" crop ratings are far higher than a year ago. A Bloomberg survey into trader/analyst sentiment in wheat returned - Bullish: 7; Bearish: 6; Neutral: 15. Dec 15 CBOT Wheat settled at $5.26 1/4, unchanged; Dec 15 KCBT Wheat settled at $4.86, down 6 3/4 cents; Dec 15 MGEX Wheat settled at $5.16 1/4, down 8 cents. 05/11/15 -- There were few fireworks to get traders excited today, with EU grains mostly consolidating and giving up some of yesterday's gains. The exception was London wheat which derived a small boost from a weaker sterling following the Bank of England's regular monthly MPC meeting. At the close, Nov 15 London wheat was up GBP0.55/tonne at GBP114.80/tonne, Dec 15 Paris wheat was down EUR0.75/tonne at EUR18375/tonne, Nov 15 Paris corn was EUR1.25/tonne weaker at EUR161.00/tonne, whilst Feb 16 Paris rapeseed fell EUR2.50/tonne to EUR380.00/tonne. Once again fresh news was thin on the ground. The FAO raised their view on this year's global wheat crop by 1 MMT to 736 MMT, some 3 MMT higher than the current USDA estimate. World ending stocks were also increase 1 MMT, but at 207 MMT these are 21 MMT less than the USDA predicted a month ago. "A higher (production) estimate for the EU more than offset lower forecasts for Australia and the US," they said. World corn production was lowered by 3 MMT from a month ago to 1004 MMT, and ending stocks cut a similar amount to 220 MMT. If you think that the disparity with the USDA's wheat numbers are noteworthy then consider that Washington are currently 31 MMT lower on the size of the global corn crop than the FAO, and 32 MMT below them on 2015/16 carryout. Winter wheat plantings in the northern hemisphere are ongoing under mostly favourable conditions with the exception of Russia and Ukraine, the FAO noted. 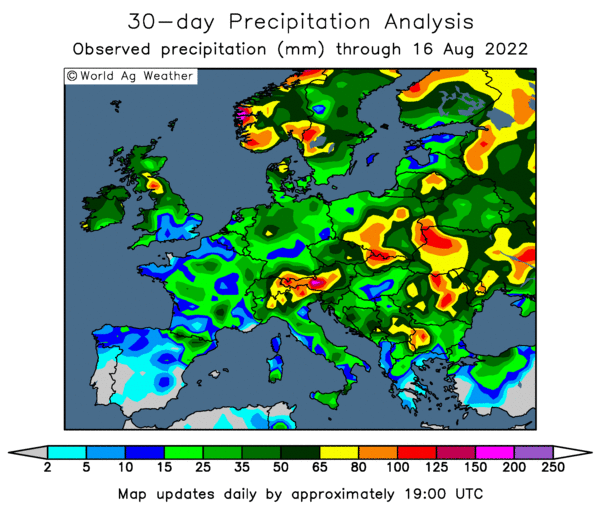 "In the EU, planting continues for all regions under favourable conditions except for Poland where dry and cold weather have hampered germination," they said. For corn, the "EU, harvest has begun, though areas in south-east faced abundant rain, which is slowing harvest. 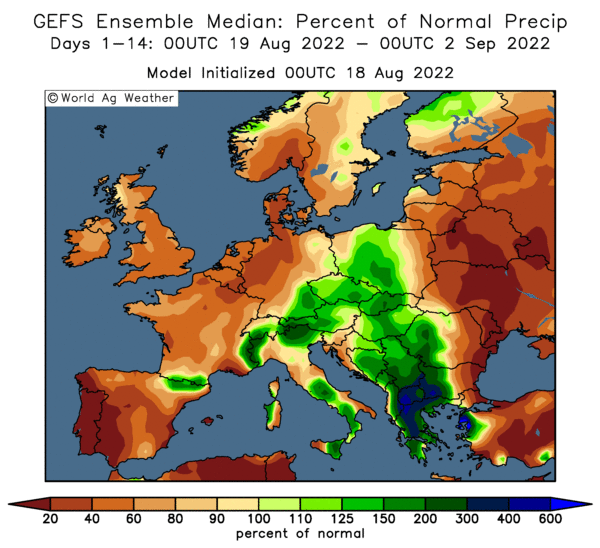 Conditions are largely unfavourable and production is expected to be below the 5 year average due to the heat wave and lack of rainfall in central and eastern Europe. "In Ukraine, harvest is ongoing and yields are expected to be down due to the persistent dryness and high temperatures in central and western regions in previous months," they added. The Bank of England voted 8-1 again to leave UK interest rates on hold at 0.5% it was revealed at lunchtime. For the third month running, Ian McCafferty was the only member of the MPC to vote for a rise. The pound was weaker on the news, as whilst no rate increase was expected, one or two thought that a 7-2 vote might have been on the cards, backing the notion that UK rates might be set to increase early in the New Year. Other negatives for sterling today were the downgrading of the Bank's economic growth forecast from 2.8% to 2.7%, as well as a warning that inflation risks were skewed to the downside over the next two years. 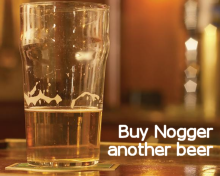 The pound was overbought, so all this news will have encouraged some profit-taking. The day ending with the GBP/EUR rate back below 1.40 and GBP/USD around 1.52. 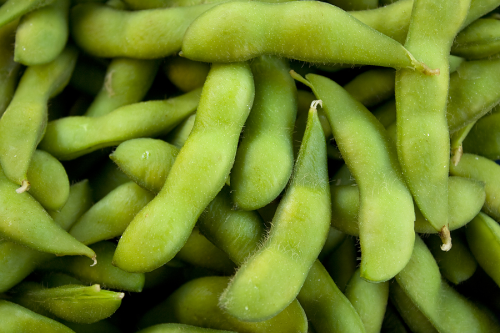 04/11/15 -- Soycomplex: Beans closed around 3-5 cents higher. Linn Group were the latest private forecaster to release their revised US 2015 production estimates today. They estimated this year's US bean crop at 3.942 billion bushels (with yields at 48.0 bu/acre) versus a previous estimate of 3.898 billion and the USDA October estimate of 3.888 billion. Informa were 3.952 billion yesterday and FCStone 3.917 billion on Monday, so it looks like these estimates are now being fine-tuned pretty close together. The USDA are out on Tuesday with their November forecasts. The average trade estimate for that now seems to be around 3.914 billion bushels with yields at 47.5 bu/acre versus the USDA’s October number of 47.2 bu/acre, according to a Bloomberg survey. Reuters report that Argentine farm activity has slowed right down ahead of the Nov 22 presidential run-off. Strong competition from Brazil remains, even if Argentine sellers are biding their time. Brazilian soybean exports totalled 2.59 MMT in October, up from 0.741 MMT during October 2014. Trade estimates for tomorrow's weekly export sales report for beans are 1.4-1.8 MMT. Sales have been very strong on recent weeks, so something in excess of 2 MMT is a possibility. Meal was the weakest leg of the complex today. Oil World said meal prices may continue fall on increased soybean crushings. They see the global 2015/16 soybean crush at 272.7 MMT, up 5.9% from a year ago. Nov 15 Soybeans settled at $8.82, up 3 1/2 cents; Jan 16 Soybeans settled at $8.84, up 5 cents; Dec 15 Soybean Meal settled at $301.80, up $0.50; Dec 15 Soybean Oil settled at 28.50, up 35 points. Corn: The corn market closed little changed. Linn Group estimated the 2015 US corn crop at 13.334 billion bushels versus a previous estimate of 13.266 billion and the USDA's October estimate of 13.555 billion. They see average yields at 165.6 bu/acre. Informa had US 2015 corn yields at 170.1 bu/acre with production at 13.718 billion bu yesterday. FCStone estimated US 2015 corn yields at 168.0 bu/acre, with production at 13.543 billion bu on Monday. For Tuesday's WASDE report the average trade guess is for production at 13.564 billion bu (the USDA were 13.555 billion last month) and a yield of 168.2 bu/acre (the USDA were 168.0 bu/acre in October). Weekly ethanol production data was supportive today. The Energy Dept said that average daily ethanol production last week was 969,000 barrels per day, up 25,000 bpd from the week before, and the largest since the week ending July 17. Brazilian ethanol prices are said to be at near 6-month highs, prompting US buyers to cancel/defer Brazilian purchases and switch back to US supplies. The US dollar was a bit firmer today as Fed chair Yellen raised the possibility of a US interest rate rise in December. She said that the US economy is performing well, and that whilst no firm decision has yet been made, an increase "could be appropriate". That could harm US already flagging exports. Trade estimates for tomorrow's weekly export sales report are a fairly modest 450-650,000 MT. Export sales remain slow, and a firmer US dollar isn't going to help. Apart from the very first week of the 2015/16 marketing year, which included outstanding sales carried over from the end of the 2014/15 season into the new campaign, we have to go back fully 39 weeks all the way to the first week of February to find weekly corn sales in excess of 1 MMT. Dec 15 Corn settled at $3.80 1/2, unchanged; Mar 16 Corn settled at $3.88 1/4, down 1/2 cent. Wheat: The wheat market closed with fairly decent gains. There wasn't a great deal of fresh news out there, so perhaps today's price action had more to do with short-covering than anything else? Concerns remain over the state of winter wheat in Russia and Ukraine, and these are likely to remain right through to the spring when we get a better handle on just how badly these crops have emerged from the winter. Spring rains remain critical, and it is of course far too early to have any idea what they are going to be like. It won't be long before winter-kill issues are getting a mention either, but for now at least all of this is merely conjecture. IKAR said that Russia's 2016 grain crop should make "at least" 100 MMT, but then added the caveat that a downgrade to 96 MMT was "quite possible". They see production this year at 103 MMT, so a drop to 96-100 MMT couldn't be classed as catastrophic. UkrAgroConsult say that only 27% of Ukraine winter wheat is "good" and that 32% is weak or thinned. The last time things were that bad was winter 2011 (for the 2012 harvest) when wheat was rated slightly better at 30% "good" and production went on to slump 29% year-on-year to 15.76 MMT. They currently say that wheat production there in 2016 could dive around 30% to only 19 MMT. Ukraine officials say that production this year was 26.5 MMT and that 55% (14.6 MMT) of that was of milling standard. They forecast domestic milling wheat needs at 5 MMT, with exports at 8.8 MMT and closing stocks at 2.5 MMT. Milling wheat exports out of Ukraine so far in 2015/16 are said to be 4.3 MMT. Taiwan are tendering for 92,000 MT of US wheat for December-January delivery. Jordan are in the market for 100,000 MT of optional origin wheat. Trade estimates for tomorrow's weekly export sales report are a moderate 300-500,000 MT. Potential US dollar strength going forward will continue to limit these. Dec 15 CBOT Wheat settled at $5.26 1/4, up 9 3/4 cents; Dec 15 KCBT Wheat settled at $4.92 3/4, up 5 1/4 cents; Dec 15 MGEX Wheat settled at $5.24 1/4, up 4 1/2 cents. 04/11/15 -- EU grains closed with generally decent gains on the day. Paris grains continue to get help from the weak euro, with rapeseed today closing at the highest levels on a front month since Aug 10. At the finish, Nov 15 London wheat was up GBP1.05/tonne at GBP114.25/tonne. In Paris, Dec 15 wheat jumped EUR4.25/tonne to EUR184.50/tonne, Nov 15 corn was EUR1.50/tonne higher at EUR162.25/tonne and Feb 16 rapeseed was up a euro to EUR382.50/tonne. For Paris wheat this was the highest close on a front month since July, and a break well outside the recent range-bound region that we have been stuck in since the last day of September, helped by euro weakness and the outlook for more to come. Most analysts are bearish on the euro, to varying degrees, but a common consensus is for further weakness at least as far as the end of Q1 2016, with something in the GBP/EUR1.44-1.47 range most commonly predicted. After that opinions start to get a bit more diverse, although many see further euro depreciation at least as far as Q2 of next year. Tomorrow's Bank of England MPC meeting will be of interest, not that anybody is predicting an interest rate rise just yet. Most still think that they will wait for the US Federal Reserve to move first on that front, possibly in December. The BoE is then generally expected to begin raising UK interest rates gradually in Q1, or at the very latest Q2, of next year. These days the BoE release the minutes of their meeting at the same time as the rate announcement. These will be what the market is really interested in tomorrow, to see if any of the committee members joined forces with last month's sole "dissenter" Ian McCafferty in voting for a rate rise. One or two are reportedly wavering, most notably Martin Weale and Kirsten Forbes. In an article recently published in The Telegraph, Forbes said that waiting too long to raise UK interest rates risks was “undermining the recovery”. Forbes said that the UK is in a “solid recovery” and warned that the benchmark policy rate will need to rise before headline inflation hits the target 2 percent. She added that keeping rates low for too long carried "distortion risks". An 7-2, or even a 6-3 vote this time round, would likely see the pound rise further versus the single currency. Back to fundamental grain market news, the EU Commission last night raised their forecast for the EU-28 soft wheat crop this year from last month's forecast of 144.74 MMT to 149.15 MMT, a small increase on last year's 148.74 MMT and a new all-time high. They also upped their ideas on EU-28 barley output from 59 MMT to 60.9 MMT, again a small rise on production of 60.2 MMT a year ago. This isn't the case for corn production however. They dropped their estimate for this year's EU-28 corn crop from 58.4 MMT to 57.4 MMT, which is now a sharp 26% reduction on a year ago. If we combined the three main grains then that means that Europe has produced 267.5 MMT of wheat, corn and barley this year, some 19.4 MMT, or 6.8%, less than a year ago. Elsewhere, Russia said that their 2015 grain harvest now stood at 106.6 MMT before cleaning and screening, off 98.5% of the planned area. The wheat and barley harvests are just about done. Corn harvesting is 79.6% complete at 11.2 MMT, with yields averaging 5.15 MT/ha versus 4.53 MT/ha a year ago. Rusagrotrans dipped their toe in the water of 2016, predicting a grain crop of "at least" 100 MMT, before bizarrely then saying that it was "quite possible" that this could ultimately fall as low as 96 MMT. Maybe that lost something in the translation? They say that production this year will be 103 MMT, so presumably they are talking in clean weight looking at the Ministry figure, although they don't actually clarify. Ukraine said that 55% of their 2015 wheat harvest was of milling standard. That's around 14.6 MMT of an overall wheat crop of 26.5 MMT. They see milling consumption at 5 MMT, exports at 8.8 MMT and 2015/16 ending stocks at 2.5 MMT. Wheat exports so far this season are said to be 7.5 MMT, of which 4.3 MMT is milling wheat, leaving an estimated 4.5 MMT of the latter still to ship. The Ukraine Ag Ministry pared back their forecast for this year's grain crop to 59.2 MMT versus just over 59.5 MMT previously, presumably due to disappointing corn yields, although they didn't give an individual crop-by-crop breakdown. They predict total grain exports in 2015/16 at a record 36.6 MMT. 03/11/15 -- Soycomplex: Beans closed little changed. Informa estimated US 2015 soybean production at 3.952 billion bushels, with a yield figure of 47.9 bu/acre. FC Stone had 2015 US soybean production 3.917 billion bu and yields at 47.5 bu/acre yesterday. The USDA were 3.888 billion bu and 47.2 bu/acre last month. Now that the 2015 US harvest is winding down, we turn our attention to developments in South America. The Argentine Ministry reported farmer selling on 2014/15 beans at 74% complete versus 67% a year ago. On new crop they say that growers are 1.3% sold, about the same as this time last year. Dr Cordonnier said that the first good rains of the season had arrived in central areas of Brazil over the weekend, hastening planting, which he believes have now "turned a corner". Sowings were even more retarded in central areas a year ago and the country still went on to produce a record crop of course. There were no daily sales announcements from the USDA today. Nov 15 Soybeans settled at $8.78 1/2, up 3/4 cent; Jan 16 Soybeans settled at $8.79, up 1/4 cent; Dec 15 Soybean Meal settled at $301.30, down $0.90; Dec 15 Soybean Oil settled at 28.15, up 30 points. Corn: The corn market closed higher in "Turnaround Tuesday" style. Corn got a shot in the arm as crude oil jumped on production concerns in Libya and Brazil. Informa estimated US 2015 corn yields at 170.1 bu/acre with production at 13.718 billion bu. FC Stone estimated US 2015 corn yields at 168.0 bu/acre, with production at 13.543 billion bu yesterday. The USDA were 168.0 bu/acre and 13.555 billion bu in October. US corn exports remain a bit sluggish, due to fierce competition from South America and the Black Sea region. Brazilian trade data shows that they exported a record 5.547 MMT of corn last month, up more than 60% from September’s 3.455 MMT. The Argentine Ag Ministry said that growers there are 79% sold on their old crop corn versus 83% a year ago, and around 3% committed on new crop - about the same as 12 months ago. The notion that opposition leader Macri is now a fairly hot favourite to win the Argentine presidential run-off at the end of the month leans bearish for corn. Russia said that their 2015 corn harvest was now 78.5% complete at 11.0 MMT. That implies final production of a record 14 MMT. Delays to winter wheat planting in Russia and Ukraine potentially means an increased corn area for 2016. Dec 15 Corn settled at $3.80 1/2, up 4 cents; Mar 16 Corn settled at $3.88 3/4, up 3 1/2 cents. Wheat: The wheat market posted some decent gains. CBH Group estimated Western Australia's wheat crop at 7.8 MMT versus a previous forecast of 8.4 MMT. The USDA's FAS in Canada put this year's wheat crop there at 26.0 MMT, down 11% on a year ago, with 2015/16 exports falling 17% to 20.0 MMT. Russia said that it's 2015 wheat and barley harvests were both 99.8% complete at 63.8 MMT and 18.2 MMT respectively. Attention there is now turning to winter plantings and production prospects for 2016. The Russian Ag Ministry said that winter grain plantings are 92% complete on 15.8 million ha (versus 16.4 million ha a year ago at this time). Some 25% of what has been sown is in poor condition due to drought, according to their Ag Minister. In Ukraine, an estimated 85% of the intended winter grain crop has been sown so far versus 96% a year ago. UkrAgroConsult say that only 27% of Ukraine winter wheat is "good" and that 32% is weak or thinned, There's talk of this being similar to conditions in the winter of 2011. Production in 2012 ultimately went on to fall by almost 30%. The Ukraine analysts currently say that wheat production there in 2016 could dive by a similar percentage to only 19 MMT. Algeria bought 350,000 MT of durum wheat in a tender, thought most likely to be of Canadian origin. Dec 15 CBOT Wheat settled at $5.16 1/2, up 8 1/2 cents; Dec 15 KCBT Wheat settled at $4.87 1/2, up 4 3/4 cents; Dec 15 MGEX Wheat settled at $5.19 3/4, up 8 cents. Is There A Glimmer Of Hope At The End Of The Tunnel? 03/11/15 -- EU grains closed mixed, with the. French markets getting a bit of support from a once again weaker euro. At the finish, Nov 15 London wheat was down GBP0.35/tonne at GBP113.20/tonne. In Paris, Dec 15 wheat was EUR0.50/tonne higher at EUR180.25/tonne, Nov 15 corn was EUR0.50/tonne lower at EUR160.75/tonne and Feb 16 rapeseed was up EUR2.00/tonne to EUR381.50/tonne. The vibe that all is not well with newly winter-sown crops in Russia and Ukraine is about the best hope that the bulls have to hang their hats onto at the moment, although they are perhaps mindful that a very similar scenario was present - certainly in Russia at least - a year ago at this time, and they are now ultimately wrapping up a harvest not far below last year's bumper levels. In southern Russia, spring rains appear to be a more critical final yield determinant than those of the autumn it seems. There is a long way to go yet of course, and anything could happen between now and harvest 2016, although certainly these winter sown crops could have got off to a better start than they have done. Russian winter grain planting works, mostly wheat, are said to be complete on 15.8 million ha, or 92% of the government's original target. That's down 600,000 ha on this time last year. The Russian Ag Minister says that 25% of what has been sown is in poor condition due to drought. Few are submitting grain production estimates for 2016/17 at this early stage, although Russian analysts IKAR have released a tentative 96-101 MMT forecast. That's down on production this year, but almost certainly not by far enough to be a game changer at this stage. You'd probably have to knock another 10 MMT or so off those numbers for the market to really sit up and take notice right now. Total output this year currently stands at 106.4 MMT off 98.4% of the planned area, the Ministry say. That includes 63.8 MMT of wheat and 18.2 MMT of barley, both off 99.8% of the planted area. The ongoing corn harvest is said to be 78.5% complete at 11.0 MMT. In Ukraine, winter grains (excluding rapeseed) are said to have been planted on 6.27 million ha, some 85% of the government's original forecast. Again most of that is wheat at 87% planted on 5.37 million ha. 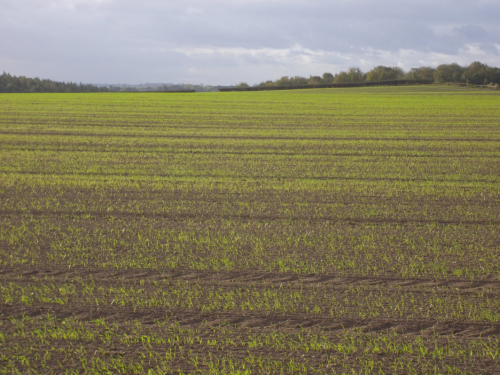 Only 72% of the expected winter barley area has this far been sown (753k ha). UkrAgroConsult say that only 27% of Ukraine winter wheat is "good" and that 32% is weak or thinned. The last time things were that bad was winter 2011 (for the 2012 harvest) when wheat was rated slightly better at 30% "good" and production went on to slump 29% year-on-year to 15.76 MMT. Wheat exports were restricted by the government that year, and London feed wheat hit the dizzy heights of GBP225/tonne by Christmas following a similar crop malaise in Russia who's wheat exports weren't banned outright, but were all crammed into the early part of the season. The Ukraine analysts currently say that wheat production there in 2016 could dive around 30% to only 19 MMT. Meanwhile winter rapeseed in Ukraine is in the worst condition in at least seven years, with 34% of the crop weak or thinned compared with 18% this time last year. The proportion of the crop rated good is only 29% compared to nearly 47% a year ago. If that wasn't bad enough persistent drought means that only 76% (or 626k ha) of the government's intended area has so far been sown, and we are well past the optimum planting window for rapeseed. Reading back through all of that now reads a lot more bullish than I expected, but it all comes with the very large caveat of what Mother Nature is going to do in Russia and Ukraine between now and next summer, which of course is one of the great unknowns. Reduced winter plantings and/or increased levels of failed winter crops potentially means a larger spring sown area, although corn is probably most likely to be the main beneficiary of that, not wheat or rapeseed - followed perhaps by sunflower and soybeans. In addition to that of course, it looks like winter wheat plantings elsewhere around the globe are likely to be little different for the 2016 harvest than they were for this year. Bumper crops amongst the other major exporting nations like the US, EU, Australia, Canada etc could certainly take some of the sting out of a possible 2016/17 FSU wheat shortage - IF we were to get one. We must also consider that the current 2015/16 supply and demand equation points to an over-supply situation, and record large carryover stocks heading into next season. Indeed, according to the latest USDA numbers more than 31% of all the wheat grown in all the world this year will still be with us in the form of stocks at the end of the current season. That's rather high - in the case of corn it's "only" 19% for example. That said, at the end of the 2011/12 season, ie. heading into the last new "deficit year" referred to above, world wheat ending stocks were running at 28% of production - not that drastically below the 31% predicted this year. There are of course other considerations here as well. Spec money was far more interested in getting involved in the grains sector, and commodities in general, back then and crude oil was of course double the price that it is now. We also didn't have the WHO telling gullible Joe Public that eating processed meat was as risky as smoking 20 a day in an asbestos-filled arsenic factory. Red meat is also now bad for you don't forget, and it is interesting is it not that they don't seem to differentiate between a nice 8oz grass-fed 28-day aged fillet steak with a glass of wine and a supermarket econo-burger on a super-saver white bap washed down with a can of Coke? 02/11/15 -- Soycomplex: Beans closed lower, in line with a general downturn in commodities to start the new month. The move came despite another impressive set of weekly export inspections. These came in at 2.561 MMT which takes the season-to-date total to almost 1 MMT more than this time a year ago. The USDA reported a change in destinations of 233,832 MT of soybeans for delivery from unknown destinations to China, and fresh export sales of 120,000 MT of US soybeans for delivery to China, and also new export sales of 20,000 MT of soybean oil for delivery to unknown destinations, all for delivery during the 2015/16 marketing year. Plantings in Brazil remain behind "normal" although in line with a year ago. Safras e Mercado said on Friday Brazil’s soybean planting is 27.5% complete versus 18.3% a week ago, 22% a year ago and 40.8% on average. They said that the top producing state of Mato Grosso is 38% complete versus 21% a week ago, 35% a year ago and 59% on average. Goias bean planting is only 12% complete versus 5% a week ago, 27% a year ago and 41% on average, as growers in northern areas await better rains. South Korea's NOFI bought 55,000 MT of South American soymeal for Mar/Apr shipment. After the close the USDA said that this year's US soybean harvest was 92% complete, up 5 points form a week ago and 4 ahead of this time last year. FC Stone estimated 2015 US soybean yields at 47.5 bu/acre, with production 3.917 billion bu. They were at 46.9 bu/acre and 3.919 billion bu previously. Nov 15 Soybeans settled at $8.77 3/4, down 6 cents; Jan 16 Soybeans settled at $8.78 3/4, down 7 cents; Dec 15 Soybean Meal settled at $302.20, down $2.20; Dec 15 Soybean Oil settled at 27.85, down 35 points. Corn: The corn market settled around 5-6 cents lower. Weekly export inspections of 477,438 MT were at the low end of trade expectations. Cumulative season-to-date inspections are 23.6% smaller than they were this time last year. The USDA reported 427.5 million bushels of corn were used to produce ethanol during September, down almost 20 million bu from August and the smallest monthly total since April. The USDA said that this year's US corn harvest is 85% done versus 75% a week ago, 62% a year ago and 79% complete for the 5-year average. Ukraine said that they'd exported 208.9 TMT of corn via its seaports last week, down from 425.7 TMT the previous week. Corn accounted for only 26% of last week's exports versus 46% the previous week. The USDA attaché in Ukraine estimated their 2015/16 corn production at 22.7 MMT, down 20% from previously and well below the official USDA forecast of 25 MMT. The Ukraine Ag Ministry said that this year's corn harvest had now reached 79% done on 3.27 million ha for a crop of 17.12 MMT to date. That implies final production of only 21.7 MMT. The USDA get a chance to revise their production numbers next week. FC Stone estimated US 2015 corn yields at 168.0 bu/acre, with production at 13.543 billion bushels. They were at 167.0 bu/acre and 13.541 billion bus previously. The USDA were 168.0 bu/acre and 13.555 billion bu in October. Late planting of corn in central and northern Brazil potentially delays and/or alters farmers' safrinha corn planting intentions early next year. The USDA attaché in Russia estimated the 2015 corn crop there up 0.5 MMT from his previous estimate to 12.5 MMT. Dec 15 Corn settled at $3.76 1/2, down 5 3/4 cents; Mar 16 Corn settled at $3.85 1/4, down 6 1/4 cents. Wheat: The market closed with double digit losses. Weekly export inspections of only 170,993 MT set the tone. Expectations were in the 275-400,000 MT region. That re-enforces the notion that US wheat is simply too dear into all but nearby/traditional homes. The outlook for the Fed to be the first to start to raise interest rates, and therefore for the US dollar to continue to firm into 2016 doesn't help the notion that export demand for US wheat might pick up either. The EU is struggling to dispose of its own record wheat crop so far this season, in the wake of strong competition from the Black Sea, and they will be only too keen to step into any void that might appear in the second half of the season if and when FSU supplies dry up a little. There's no sign of that just yet though. Ukraine's seaports exported more wheat than corn last week at 424.3 TMT versus 208.9 TMT. Those wheat exports were also up from 314.3 TMT the previous week. Russia meanwhile exported 529.9 TMT of grains via its seaports last week, and 405.5 TMT of that was wheat, up from wheat shipments of 396.3 TMT the previous week. The USDA attaché in Ukraine estimated 2015/16 winter wheat crop at 27.6 MMT, the largest since 1990. The USDA attaché in Russia pegged wheat production there this year at 60.5 MMT, with 2015/16 exports at a record 23.5 MMT. Even so, ending stocks at the end of the current season next Jun 30 will be 14% higher than they were a year previously at 7.13 MMT, they say. Ethiopia bought 856,000 MT of milling wheat in a tender for 1 MMT. Delivery will be spread over the next 4 months. Japan are in the market for their regular 129,600 MT combo of US, Canadian and Australian wheat. The USDA have US winter wheat planting at 88% complete, up 5 points from last week but 2 behind average. Crop conditions were raised 2 points in the good to excellent category to 49%. Dec 15 CBOT Wheat settled at $5.08, down 14 cents; Dec 15 KCBT Wheat settled at $4.82 3/4, down 11 cents; Dec 15 MGEX Wheat settled at $5.11 3/4, down 13 3/4 cents. 02/11/15 -- EU grains began the new month with few, if any, fireworks and under pressure from falling US markets. Wheat still remains range-bound though, with the market in Paris having not closed outside the EUR175-181/tonne region on front month Dec 15 since the last day of September. Nov 15 London wheat hasn't finished outside GBP112.50-117/tonne since September 22 meanwhile. At the close, Nov 15 London wheat was down GBP1.40/tonne at GBP113.55/tonne, Dec 15 Paris wheat was down EUR1.00/tonne at EUR179.75/tonne, Nov 15 Paris corn was EUR3.75/tonne weaker at EUR161.25/tonne, whilst Feb 16 Paris rapeseed was up a euro at EUR379.50/tonne. The pound was firmer again today, following the release of strong manufacturing data. This adds to the case for the BoE to raise interest rates here sooner rather than later, although few expect any action in Thursday's upcoming monthly MPC meeting. The minutes though will make interesting reading as ever. Most analysts are still forecasting the US Fed to move first on rates, and the BoE to follow, possibly in Q1 of 2016. Almost everybody, with the exception of Lloyds, see the GBP/EUR rate firming to the 1.41-1.49 region by mid-2016. That potentially gives wheat on the continent an advantage over that in the UK on the export front, although you would be forgiven for having failed to notice that so far, with season to date soft wheat export licences down 30% year-on-year versus USDA expectations for a full season decline in foreign sales of less than 7%. That leaves some significant improvement needing to be made in the second half of the campaign. Still, at least Europe managed a clean sweep in last week's latest GASC tender - it sure seems like it's been a long time since that happened. Competition from the Black Sea remains though. Ukraine 11.5% milling wheat is currently indicated at around $190/tonne FOB, some $5 cheaper than French "superior" wheat and $8-10/tonne under Russian 12.5% material. Ukraine said that they'd exported 13.375 MMT of grains so far this season, including 7.361 MMT of wheat, 3.31 MMT of barley and 2.661 MMT of corn. The USDA's FAS in Moscow upped their estimate for this season's grain crop there from 97 MMT to 102 MMT in clean weight. That includes 60.5 MMT of wheat (versus 59.08 MMT a year ago), 16.5 MMT of barley (20.03 MMT) and 12.5 MMT of corn (11.33 MMT). They see total Russian grain exports in 2015/16 at 31 MMT, some 3% below last season's record, but still the second largest ever. Wheat exports are predicted at an all-time high 23.5 MMT (from 22.8 MMT last year), with those for barley and corn both at 3.5 MMT. With winter wheat planting winding down in the northern hemisphere, the IGC predict that the area sown to wheat (including spring crops) for the 2016/17 harvest will decline only modestly - down 1.2 million ha to 221 million ha. "Currently there are few more profitable alternatives," they say, predicting that some growers may consider reducing inputs as a cost-cutting measure. That obviously comes with yield-reducing potential though. 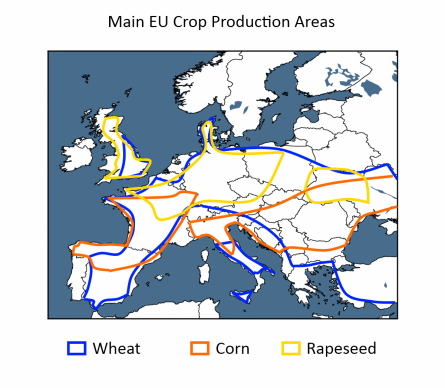 EU-28 rapeseed plantings will be in line with last year's reduced level at around 6.5 million ha, they predict. Sowings in Ukraine will tumble 30% to 610,000 ha, they add. That would be the lowest area sown since the 2006 harvested year. 30/10/15 -- Soycomplex: Beans closed higher on the day, but lower for the week. Bean planting in Brazil remains significantly retarded. AgRural say that the crop is 31% sown, up from 20% a week ago but still well behind 42% on average. Mato Grosso is said to only be 36% complete versus 66% on average at this time. Demand remains strong. The USDA reported a sale of 120,000 MT of US soybeans to China for delivery in the 2015/16 marketing year under the daily reporting system. CNGOIC estimated Chinese soybean imports will climb to 22 MMT during Q4 of 2015, up 18% from Q4 in 2014. The trade is thinking that US soybean 2015/16 ending stocks will not ultimately be as high as current USDA predictions. This has been the case in 16 of the last 21 years, according to one analyst. The market is expecting the US 2015 bean harvest to be around 90% done on Monday. Nov 15 Soybeans settled at $8.83 3/4, up 5 cents; Jan 16 Soybeans settled at $8.85 3/4, up 5 1/2 cents; Dec 15 Soybean Meal settled at $304.40, up $2.80; Dec 15 Soybean Oil settled at 28.20, up 32 points. For the week that put front month beans 6 3/4 cents lower, with meal down 70 cents and oil off 37 points. Corn: The corn market closed around a couple of cents or so firmer. Concerns over late planting of soybeans in Brazil could ultimately have a negative impact on safrinha corn sowings. An Argentine economic research firm, said to be the only one of the pollsters there to accurately predict last Sunday's election results, say that a victory for opposition leader Macri is 70% likely. Macri is the mayor of Buenos Aires, which has almost 40% of the Argentine electorate vote, according to the FT. Those voters that opposed the front-runner in Argentina’s presidential election, Scioli, are more likely to side with Macri in the run-off, they say. That is seen as leaning bearish for the market in general, as a Macri victory potentially brings more Argentine agri-commodities onto the world market, assuming that he keeps his promises on export taxes and quotas. Israel bought 125 TMT of optional origin corn in a tender, which will probably end up being Black Sea material. Ukraine's corn harvest is 74% done at 15.96 MMT. Russia's is 73.6% done at 10.2 MMT. The French corn harvest was reported at 75% complete as of Monday, up from 58% done a week ago and versus 52% this time last year. Dec 15 Corn settled at $3.82 1/4, up 2 1/4 cents; Mar 16 Corn settled at $3.91 1/2, up 1 3/4 cents. Dec 15 was 2 1/2 cents higher for the week. Wheat: The wheat market closed around 5-7 cents higher across the three exchanges. The Buenos Aires Grain Exchange estimated this year's Argentine wheat crop at only 9.5 MMT, a 16% decline on a year ago, and they are using one of the more bullish planted area estimates. The lowest production level in recent years was 9.3 MMT in 2012, and prior to that it was 8.6 MMT in 1995. They aren't the only southern hemisphere country who's wheat crop is in toruble. "Australia wheat prospects have worsened in October with increased heat and moisture stress, especially in New South Wales," say Martell Crop Projections. "A new satellite image for October 28 confirms much worse vegetation than 4 weeks ago in all the main wheat states, but especially New South Wales. The state is Australia’s second largest wheat state behind Western Australia, accounting for 30% of national wheat production. Strong drying in New South Wales, and eastern Australia at large, may be linked to the El Niño climate anomaly," they add. EU soft wheat export licences so far this season are now running 30% behind the pace of a year ago, yet the USDA currently predicts these to only decline less than 7% season-on-season. Dec 15 CBOT Wheat settled at $5.22, up 7 cents; Dec 15 KCBT Wheat settled at $4.93 3/4, up 5 1/2 cents; Dec 15 MGEX Wheat settled at $5.20 1/2, up 5 1/2 cents. For the week, Chicago wheat was up 2 1/4 cents, Kansas was up 18 1/4 cents and Minneapolis rose 12 1/2 cents. 30/10/15 -- EU grains closed mixed on the day and for the week. At the finish, Nov 15 London wheat was unchanged at GBP114.95/tonne, although other months were generally GBP0.25-0.50/tonne lower. In Paris, Dec 15 wheat was also flat at EUR180.75/tonne, Nov 15 corn was down EUR1.50/tonne at EUR165.00/tonne and new front month Feb 16 rapeseed was up EUR0.75/tonne to EUR378.50/tonne. For the week Nov 15 London wheat managed a net gain of GBP1.45/tonne, Dec 15 Paris wheat was up EUR1.75/tonne, Nov 15 Paris corn was unchanged an Feb 15 Paris rapeseed was down EUR3.25/tonne. Euro weakness has been a feature this week, with the pound closing back up above the 1.40 level against the single currency for the first time since Aug 19. Italian analysts Intesa Sanpaulo joined the throng predicting further euro weakness in the coming months, estimating the GBP/EUR exchange rate to hit 1.47 inside a 3-month period. The theory that this should lead to increased demand for EU wheat remains, although we've seen precious little evidence of that so far this season. Brussels only issued 371 TMT worth of soft wheat export licences this past week. Although that was up 33% on the previous week's sorry total, season to date licences so far are down 30% on a year ago at 6.84 MMT. That's a deterioration from 23.5% below last season's levels a month ago. They also only approved 68 TMT worth of barley export licences this week, down 76% on the previous week's total. Let's hope that this is a flash in the pan. Season to date barley licences are still 38% ahead of this time a year ago at 4.19 MMT. Also a little worryingly, they approved more corn import licences this week than exports for wheat and barley combined - 574 TMT. Cumulative corn import licences now total 2.9 MMT for the season, which is now ahead of last year's pace. Egypt said that following yesterday's wheat purchases, they now have enough wheat bought to last them until mid-April. Despite an EU clean sweep in that tender, 75% of what GASC has bought so far this season has been Russian/Ukraine origin, with only 25% coming from the EU - and most of that being Romanian material. French wheat only account for 8% of what they have bought so far in 2015/16. FranceAgriMer said that the French corn harvest was 75% complete as of Monday, up from 58% a week ago and versus 52% this time last year. French winter wheat plantings were 78% done versus 58% the previous week and 70% a year ago. 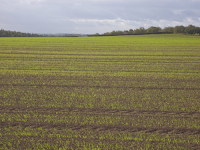 Winter barley sowings are 92% done compared to 78% a week ago and 87% this time last year. Emergence of both those crops is almost identical to a year ago at 43% and 65% respectively. In their first barley crop ratings of the year they put the French crop at 96% good to very good, one point ahead of this time last year. Ukraine said that their 2015 corn harvest was 74% complete at 15.96 MMT, which suggests a final crop of around 21.6 MMT, not the 25 MMT that the USDA currently predict. Russia said that this year's corn harvest there is 73.6% complete at 10.2 MMT. That suggests final production of 13.85 MMT versus the USDA's expected 13.5 MMT estimate. Reduced winter plantings in both countries this year might suggest further increases in corn sowing in 2016. Russia's winter grain plantings are said to be 91.8% complete and Ukraine's only 84% done.